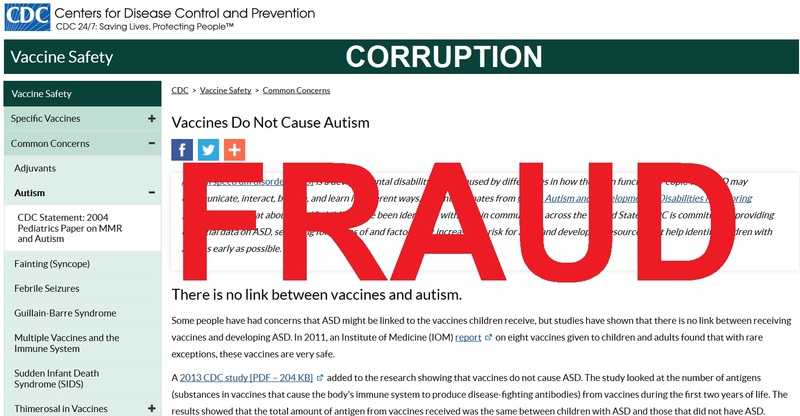 Many of the CDC claims regarding a connection between vaccines and autism is based on fraudulent research. 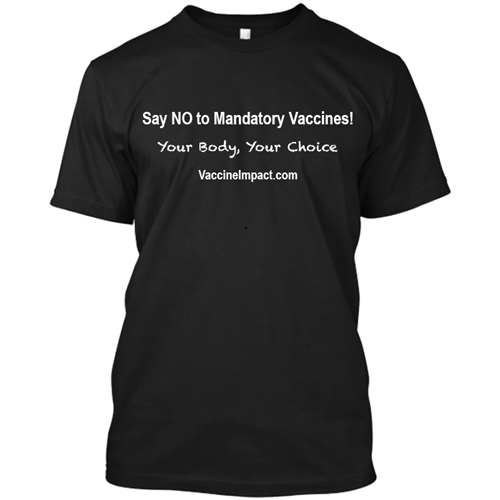 Washington, DC – In a new report released today, Robert F. Kennedy, Jr. and his team outlined various criminal acts on the part of employees and consultants for the Centers for Disease Control and Prevention (CDC) whose questionable ethics and scientific fraud have resulted in untrustworthy vaccine safety science. 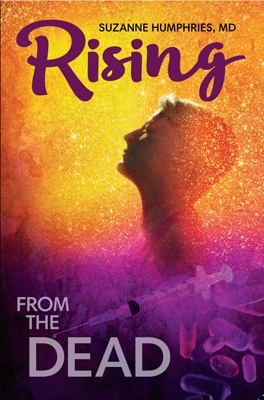 The new evidence, recently uncovered by the World Mercury Project, shows that Thorsen and his collaborators did not obtain permission from an Institutional Review Board (IRB) to conduct their research, which was published in the New England Journal of Medicine in 2002 and Pediatrics in 2003. 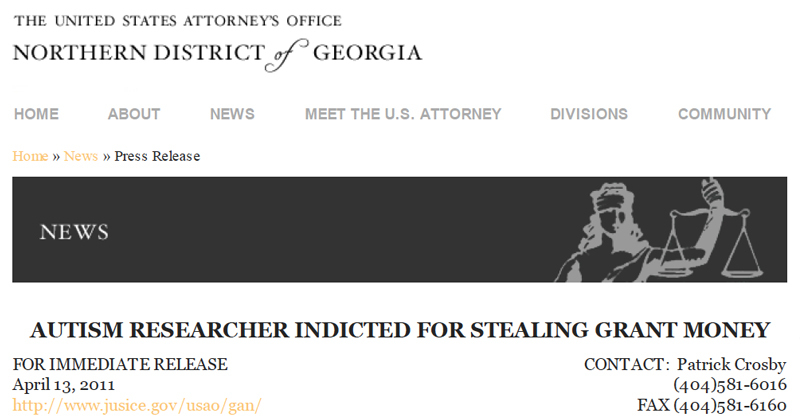 In 2011, The Department of Justice indicted Thorsen on 22 counts of wire fraud and money laundering for stealing over $1 million in CDC grant money earmarked for autism research. The product of Thorsen’s work for CDC was a series of fraud-tainted articles on Danish autism rates that, today, form the backbone of the popular orthodoxy that vaccines don’t cause autism. In 2009, when CDC discovered that Thorsen never applied for the IRB approvals, staff did not report the errors or retract the studies. Rather, FOIA documents show that CDC supervisors ignored the missteps and covered up the illegal activity. 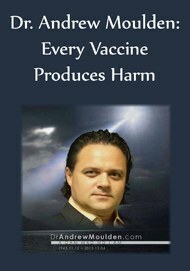 This misconduct undermines the legitimacy of these studies which were used to refute vaccine injury claims in the National Vaccine Injury Compensation Program (NVICP). 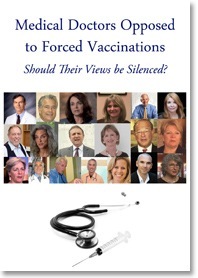 The studies were also used in the NVICP’s “Omnibus Proceeding” to dismiss 5000 petitions by families who claimed that their children had developed autism from vaccines. These claims, if settled in the claimants’ favor, would have resulted in payouts totaling an estimated $10 billion. Read the full press release at WorldMercuryProject.com.